I want to alert AIUSA of a case that may be of interest to you. I understand that AIUSA is limited in the number and type of cases you can take on, but I hope that you can take a moment to learn about this one. I believe that an activist and civil rights leader is at risk of being framed on false charges, being denied a fair trial, being imprisoned for his political activism rather than valid charges, and facing mistreatment in prison. The case concerns Rev. Edward Pinkney of Benton Harbor, Michigan. I don't know how familiar you are with Benton Harbor. Visiting there is like stepping back into the pre-civil rights era. There is an extreme racial and economic division between Benton Harbor (95% black, over 50% real unemployment) and neighboring St. Joseph (95% white, 2% unemployment) and an imbalance of power. Frustration with injustices there have sparked periodic race riots over many decades. In February, BANCO led a successful election to recall a city commissioner (Glen Yarbrough) who supported the former police chief (Sam Harris, who recently resigned in the face of dozens of citizen complaints of police brutality and sexual harassment). In April, the recall vote was overturned and Rev. Pinkney was arrested and charged with four felonies and a misdemeanor, alleging his involvement in alleged election fraud. To date, at least two witnesses have submitted testimony that suggests that Rev. Pinkney is being framed and that the allegations of fraud are false (see here). In light of this testimony, supporters believe the charges should have already been dropped and the recall vote restored. There is a valid concern that Rev. Pinkney cannot get a fair trial, fair sentencing, or fair treatment in the county where he has been the foremost watchdog and critic of the county’s judges, prosecutors, defenders, police, and politicians. Last week, Judge Paul Maloney denied a motion to disqualify himself and other local judges from hearing Rev. Pinkney’s case. Judge Maloney claimed that he never noticed his own name and the names of the county’s other judges on the signs of BANCO protesters outside the courthouse or on the T-shirt worn by BANCO members. This claim is not very credible and already suggests that Rev. Pinkney will not receive a fair trial from Judge Maloney. The denial of the motion will be appealed. Raising the profile of this case regionally and nationally would increase the likelihood of a fair trial by a less-biased judge from outside the county. If Rev. 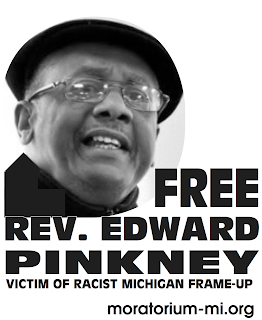 Pinkney is sent to prison in Berrien County, I believe it will be because of his political activism. My fear is that in prison he would be in physical danger. Allegations of abuse in the county’s prison are many and longstanding and a resident reported being told by a policeman after the Reverend's arrest: "Your voice in this town is gone. 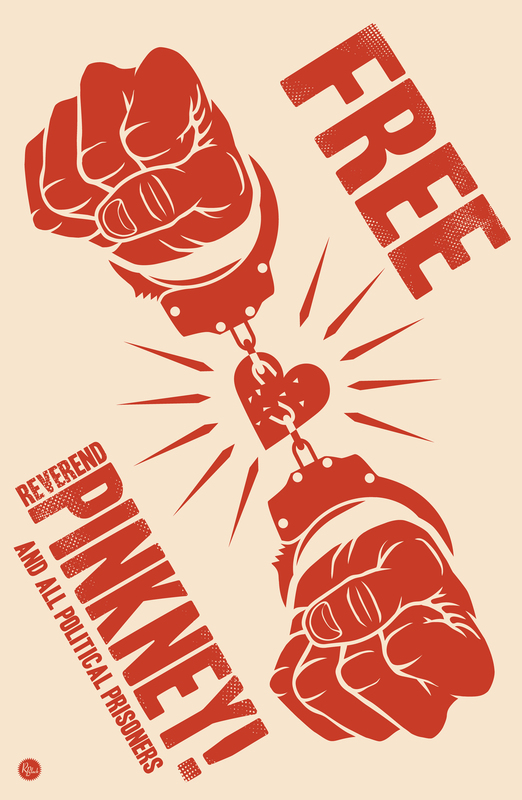 Pinkney won't last long in jail." I think these are the sort of human rights abuses that AI has addressed very successfully abroad. Now we're in danger of it happening in our own backyard. Please consider taking on Rev. Pinkney's case. If that is not possible at this time, please consider at least tracking it as the case goes to trial. There is further background information at BANCO's Web site (see here). You can also contact me or Rev. Pinkney at 269-925-0001 or banco9342@sbcglobal.net.